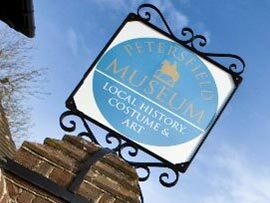 Petersfield Museum is an Accredited Museum and independent registered charity, which currently does not receive regular funding from the government. As a result we are dependent on public support to allow us to continue to provide the range of services and events we offer. There are many ways you can get involved, from volunteering to becoming a Friend of the Museum or giving a donation. You can always pop in to browse our shop, with loads of gift ideas and local history books, or check out our What's On page for full listings of our events and exhibitions coming up this year. Find out more about all the ways you can support us using the menu above. 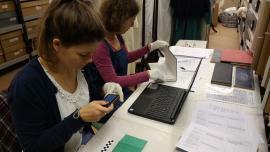 Our Mission is to promote the preservation, understanding and enjoyment of the history and cultures of Petersfield and the surrounding villages by showcasing the extensive and varied local history, archaeology and art of the area and the wider history of dress through exhibitions, research, education and outreach. In 1999 the Petersfield Area Historical Society opened the doors of its museum in the former Courthouse where it displayed its social history collection. Thanks to the generous bequest of local solicitor Freddie Standfield, a professional Curator could be employed six years later. Since then, the museum has hired a Learning and Community Engagement Officer and Assistant Curator, acquired the Bedales collection of historic dress and a collection of art by the late local painter Flora Twort. 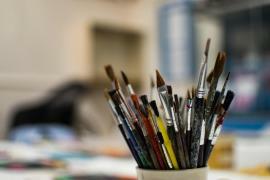 Today, Petersfield Museum preserves around 22,000 objects, photographs and documents and offers a wide-ranging programme of activities including temporary art and history exhibitions, workshops for schools, adult education talks, reminisce sessions and family fun days.